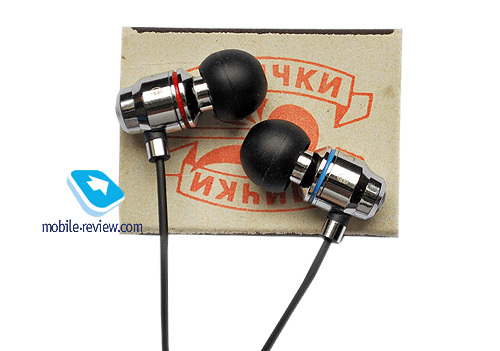 Today we will speak about Monster Cable earbuds, which can be considered an entry level solution in the lineup of this manufacturer. 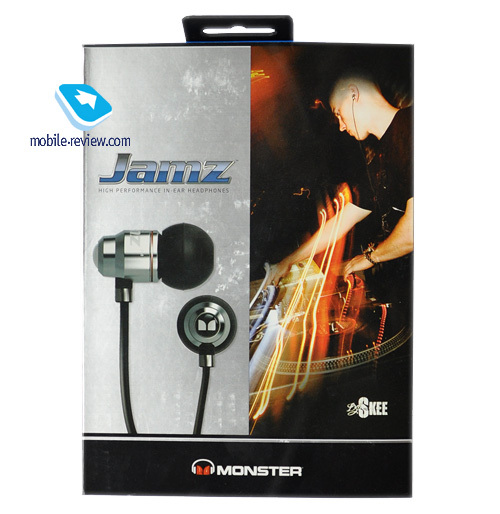 Jamz fetches $130 in Moscow and offers a metal body and reliable cable, which is a signature of Monster Cable. Abroad you can buy ControlTalk version with the button and microphone for iPhone, which is a good addition and both products match in design and sound. Traditionally a large and nice looking box has a special section for the headphones. When you take it out a pouch similar to that of Turbine Pro Gold is visible. The more expensive model has a hard case as well. 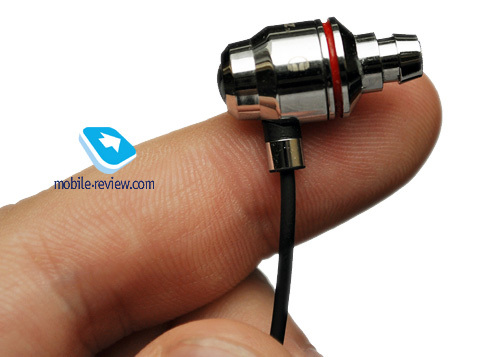 There are tips of three sizes, but these are not Super Tips from Turbine, and resemble ear adapters from the Beats series. The kit also features a detachable clip. To my mind the headphones look beautiful. They do not have a vulgar design of Turbine Pro Gold and boast reserved looks. The left and right earphones have blue and red rings to differentiate between them. Cambric tubing is solid and the same applies to the whole construction. 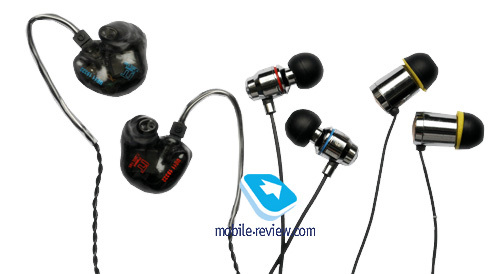 The earphones are standard and almost all tips from rival manufacturers can be used. Speaking about tips I have to say that the substitution of Super Tips by soft adapters was not correct. The headphones are quite heavy and can easily fall out from ears. I recommend checking them during purchase to avoid further disappointment. The cable is as excellent as in Turbine. 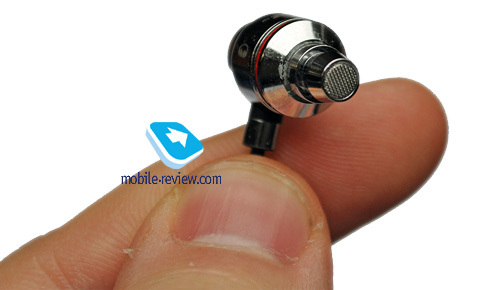 It is soft, quite thick and light without considerable microphone effect. 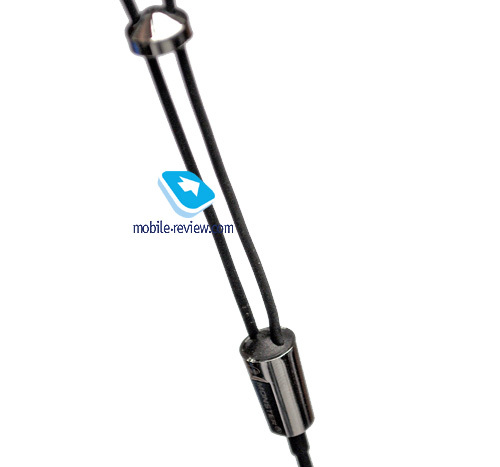 If you put the cable behind the ear (and not only wear the model with the cable down) then the headphones are fixed well and the microphone effect almost entirely disappears. There is a roller to fix the cable. The plug is straight and protrudes from the body a lot. In terms of noise insulation Jamz is an excellent representative of dynamic headphones. The model blocks outside sounds and can be used in the metro. Everything is spoiled by tips, which are too soft and have not very thick walls. I do not know if you can buy Super Tips in Russia, but if you have an option I advise to embrace it. There are no complaints to Jamz in terms of playing music out. I tested the headphones with Hifiman HM-801 player and Prime Test CD1. The tips were standard with the minimum warm up of 10 hours. The sound is colored and lightweight. Low frequencies are not bright and the attempt to improve this range by the boosted mid bass was unsuccessful. 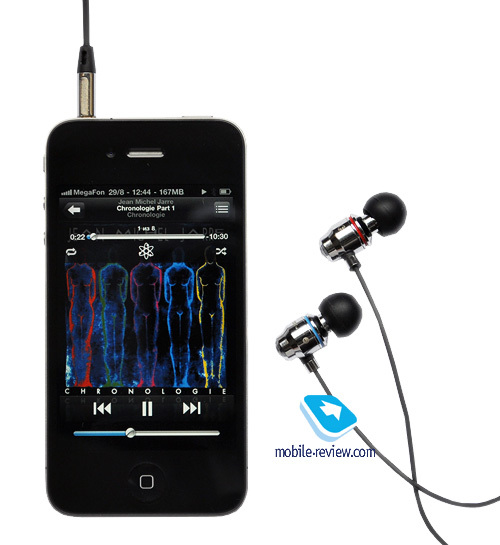 The depth of bass is hardly noticeable and is superseded by the mid bass. Mid frequencies are unnaturally raised and vocal parts sound unnatural and with sibilants. High frequencies were also attempted to be raised, but instead of the desired clarity we have the sharpness which causes discomfort regardless of recordings. The dynamic range is not very wide with flat and inexpressive sound. Now I would like to say few words of praise. The main advantage is the wide stereo pan with nice localization. The headphones are quite fast and get a lot even from the most demanding recordings avoiding the mash sound until the last moment. Anyway, I would not recommend listening to anything heavier than rock music. 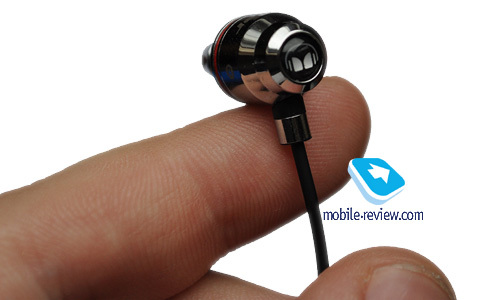 I tested the headphones with iPhone 4. 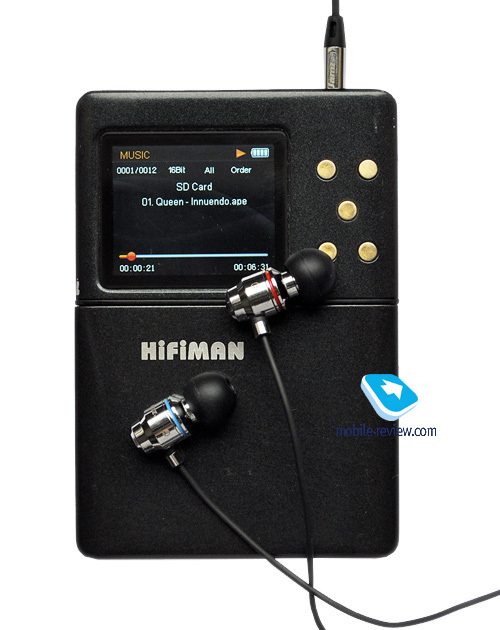 The complaints to the reproduction of all frequencies are the same for Hifiman HM-801. 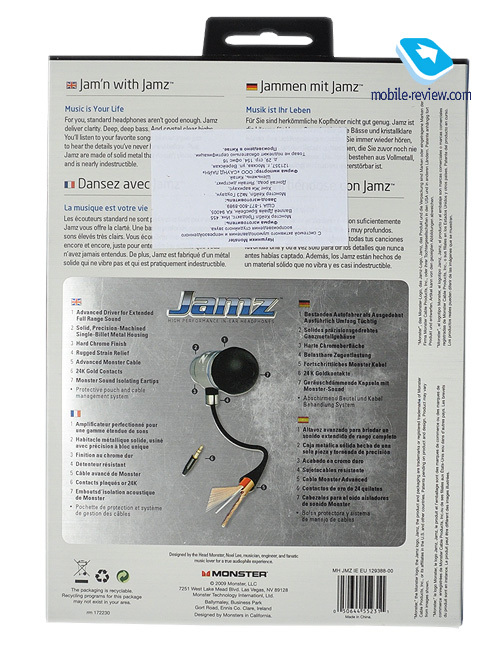 Jamz was impressive while watching movies due to the broad stereo pan and raised mid bass. I can say that the model is not demanding to the sound source. In terms of sound Jamz somehow resembles Beats Tour. It is possible that they both have similar internal components. 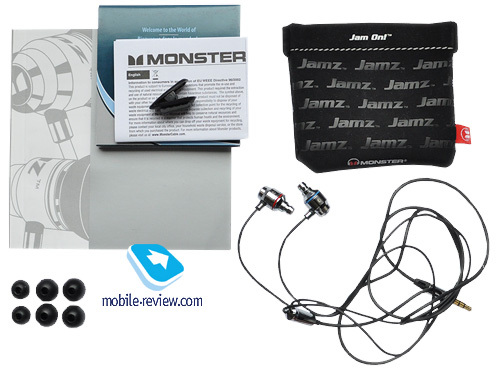 Jamz competes with Silver Bullet and Eterna. Priced two times more the Sennheizer model offers just a more reliable cable, while the fixation issues are the same due to its size. You have to decide whether to pay more for the design and brand reputation. Jamz looks better than sounds. For $130 you can find many better options. In one of the forthcoming articles we will speak about Lil' Jamz, which sounds much better and costs the same. Jamz has the following drawbacks. The fixation is far from ideal (because of the size and bad tips choice) and the sound is not great. On the positive side we have low requirements to the sound source and good results for watching movies. The article is not crowned with technical characteristics as Monster Cable believes their headphones should be used for listening and figures mean nothing. I would recommend not listening to Jamz at all.